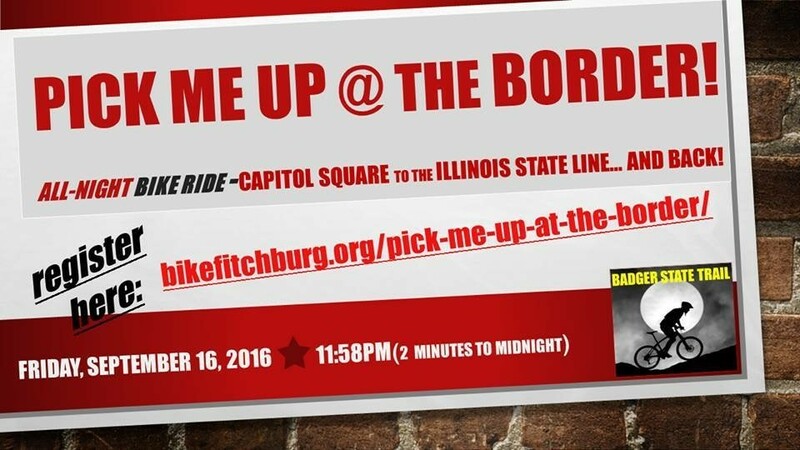 Pick Me Up at the Border 2016. Starts at Capitol Square downtown Madison. Southwest Commuter path to McKee where you pick up Badger State Trail in Fitchburg. Glow sticks provided. More details and sign up here.